HP DeskJet 2652 Wireless All-In-One Printer Just $19.99! Down From $50! 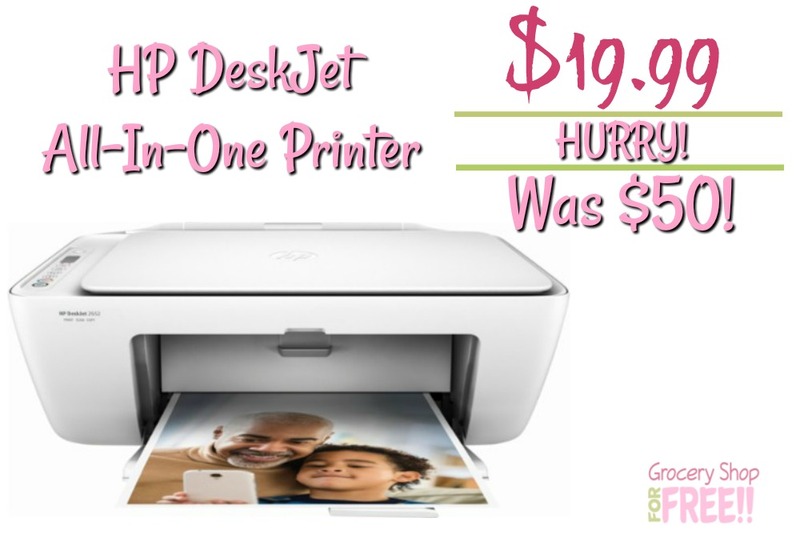 You are here: Home / Great Deals / Christmas Deals / HP DeskJet 2652 Wireless All-In-One Printer Just $19.99! Down From $50! This is an awesome deal and time to start thinking about getting organized and saving money in the new year! Printing coupons and shopping lists is a great way to do it – so, this deal is for you! PLUS, it would make a great Christmas gift, too! Grab this HP DeskJet Wireless All In One Printer for just $19.99 – down from $50 right now! Print, copy or scan anything with this HP DeskJet all-in-one printer, which even prints from smartphones and tablets. Wi-Fi capabilities enable cable-free connections with your computer, while an easy-to-read control panel provides effortless operation for any task. This HP DeskJet all-in-one printer has a 60-sheet input tray, eliminating the need to stop and load mid task. Offers excellent print quality for photos and documents and accepts a variety of paper types and sizes. Connect your computers or devices easily with the built-in Wi-Fi. Plus, print from your compatible mobile device with Apple® AirPrint. High resolution allows the printer to produce incredible quality and detail in your documents and photos. Up to 1200 x 1200 dpi when printing in black. Three dye-based inks reproduce vivid color in photos and the pigment-based black ink produces crisp text. 60-sheet input and 25-sheet output capacity. Easily input commands for printing, copying, and scanning directly from the printer. The high-speed USB 2.0 port offers a standard connection to your PC. Allows you to scan documents in up to 1200 dpi optical resolution to reproduce exact colors and large documents.